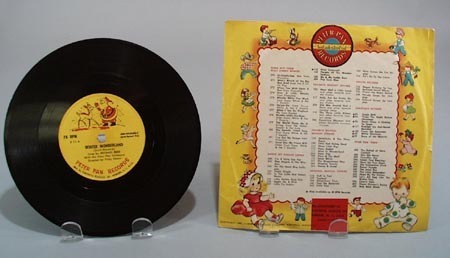 1955 peter pan record Winter Wonderland sung by Michael Reed X11 part of the Kiddie Pop record Christmas colletion. The other side is It Came upon a Midnight Clear and Away in the Manger sung by the Caroleers. 78 rpm, Light wear, very nice. 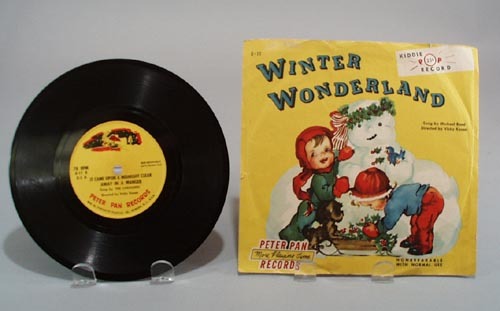 Record is 6 3/4""
Items Similar To "1955 peter pan record Winter Wonderland"